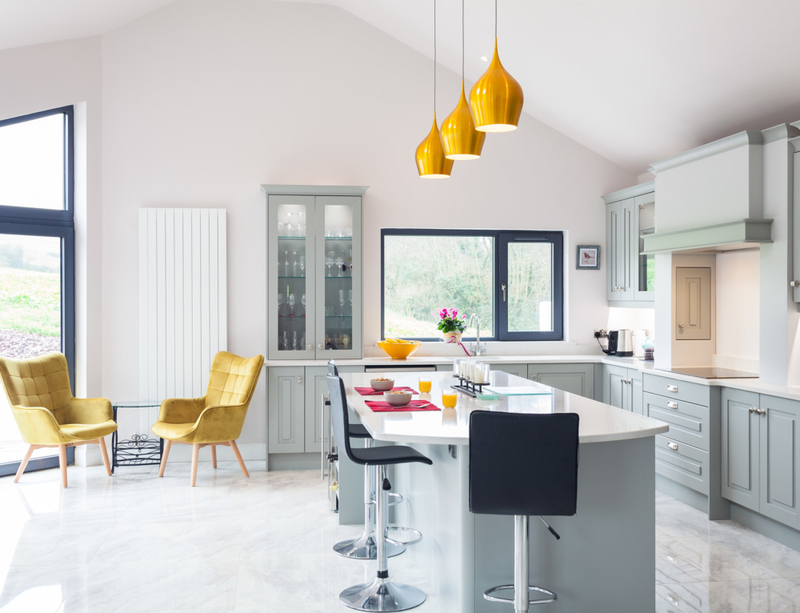 2019 has barely begun and we are already getting some fantastic shots back from our photographer! 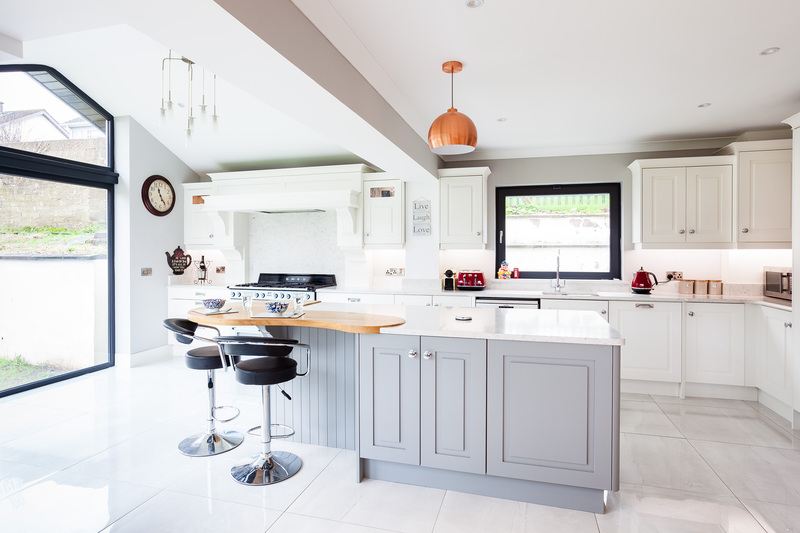 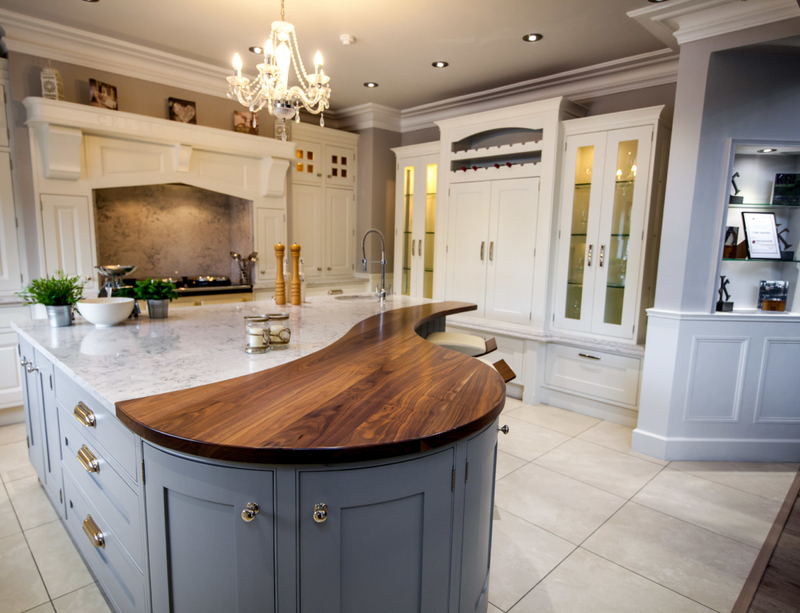 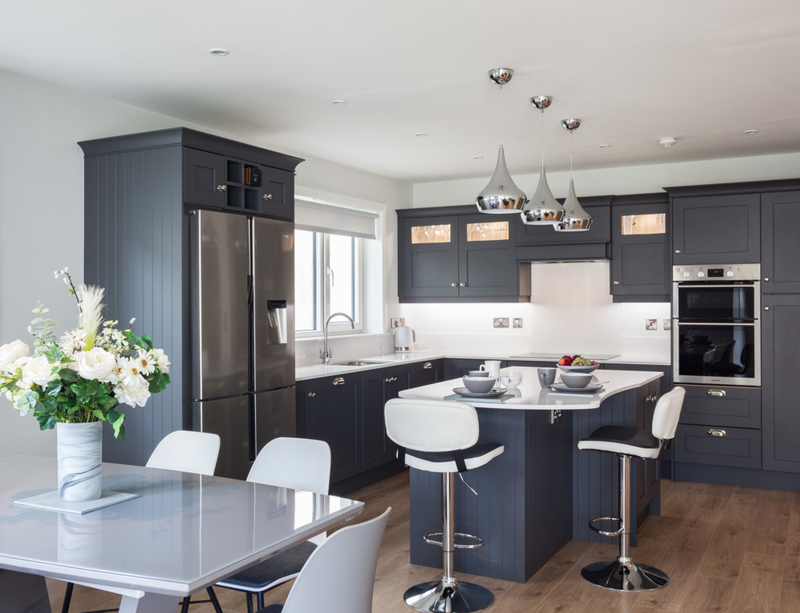 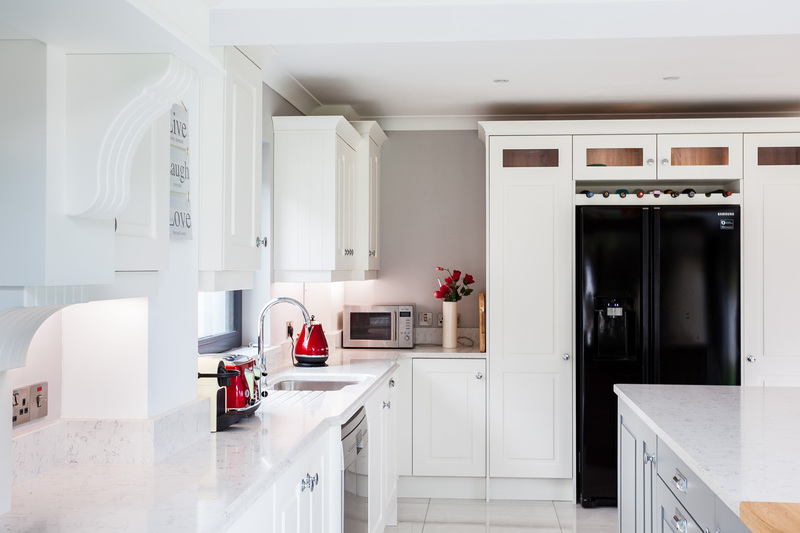 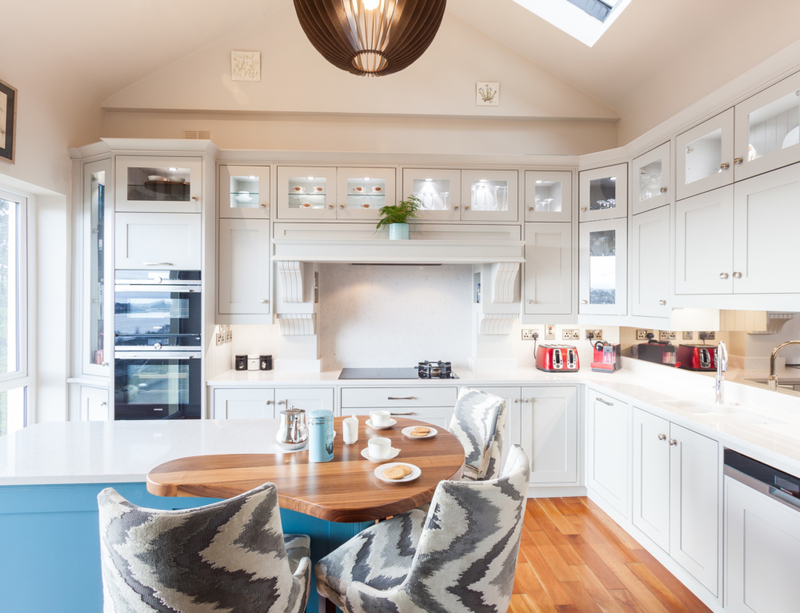 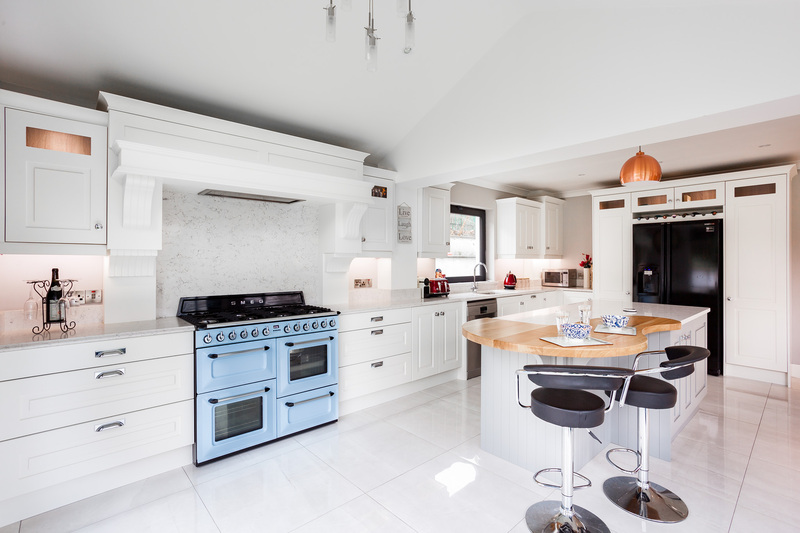 This kitchen is a Double Shaker style, painted in Porcelain, with Manor House Grey on the island. 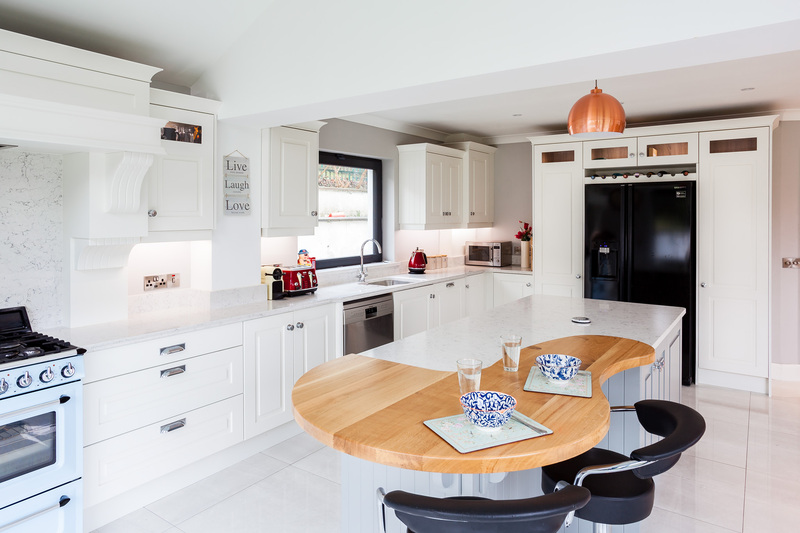 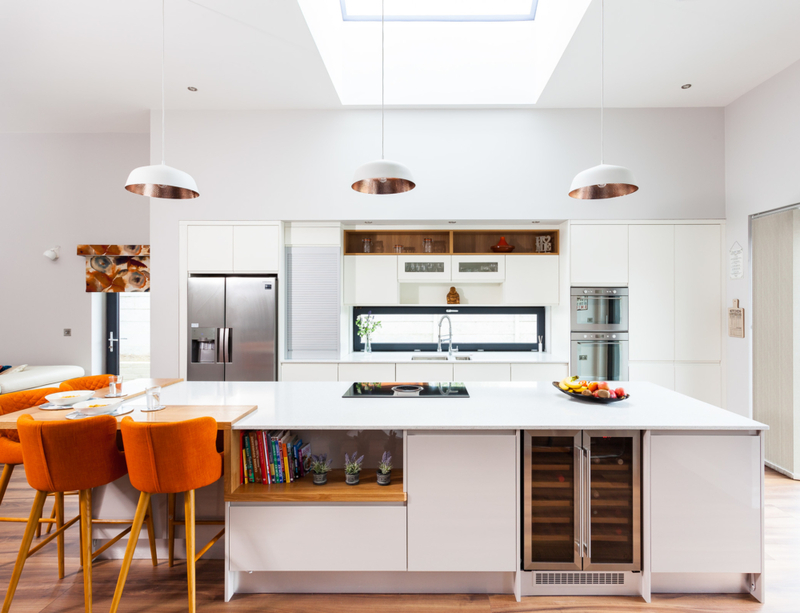 The worktops featured are White Arabesque. 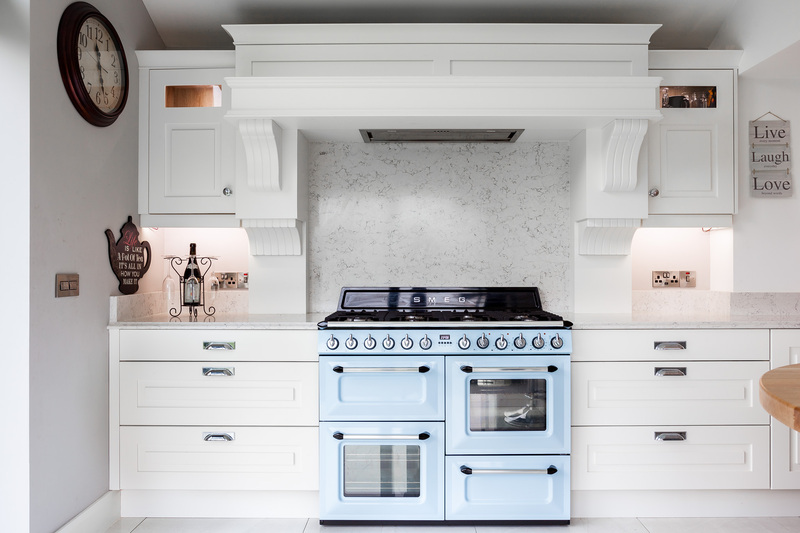 I’m sure you will agree the red accessories really pop against the clean, sleek look of this kitchen, and we are loving the pale blue range!